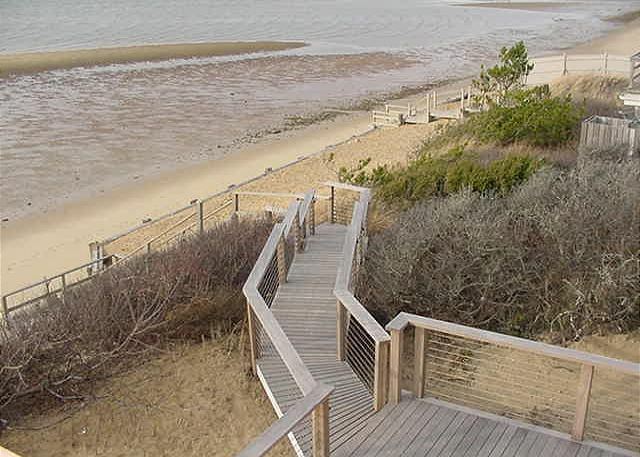 Located in Cape Cod, Eastham, MA is the most laid back colonial town-perfect for your next memorable vacation. The home of First Encounter Beach- the place where the Pilgrims first encountered the native indians! The history is rich and the restaurants are divine and best of all, the people are sure to welcome you to the land they are quite proud of for all they have to offer. A great place for taking a break from the fast pace of life, Eastham has lots of outdoor ventures to explore. The beach is beautiful and chock full of splash as the waves break upon the rocks along the shore. Coast Guard beach is a popular spot to upack the beach chairs. The beach is beautiful at low tide-as it widens and provides tidepools and sandbars-sometimes a mile out to walk on! For a calmer more quiet experience, sit by the bay instead-great for the children at play. From the Eastham Windmill, built in the 1680's, to the Nauset Lighthouse, Eastham's most historic landmark, the area has a treasure trove full of historic nuggets to gather. No doubt, you'll go home from vacation talking about the things you learn from Eastham. Don't miss the Cape Cod National Seashore, the 1869 Schoolhouse Museum, and the Salt Pond Visitor Center. For those who enjoy the activities of the outdoors, check out the kayaking, boating and fishing in Eastham-all guaranteed to be accompanied by the most beautiful Cape Cod back drops.